Nice view, shame about the power station, but great you have taken the artistic license to remove it. You really created an atmosphere...great work...as always. Nice series of squares showing through in this design. 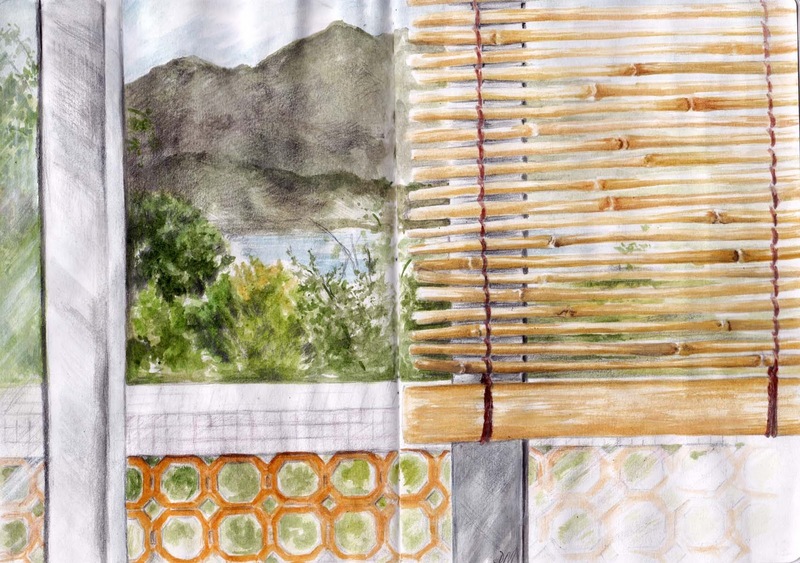 After appreciating the composition, my next thought was how do you keep those bamboo rods clean? They would collect dust in my house. 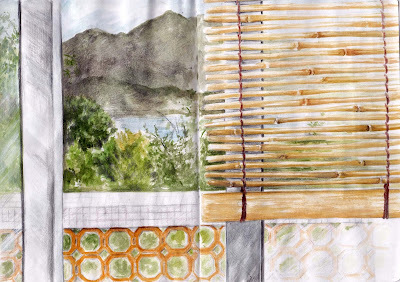 I love the bamboo blind...I want one! So realistic! =) As always, it's beautifully drawn, and the view is so majestic!